Peer-reviewed scientific outputs are an essential part of our work, enabling BTO science to reach a wide audience and to support and underpin policy and ecological study. Many of the papers that we publish are derived from analyses of the main Garden BirdWatch dataset. However, we also carry out other projects, for example the Shortest Day Survey, which also produce scientific outputs in the form of peer-reviewed papers. The BTO Garden BirdWatch dataset offers many different opportunities for study, allowing us to examine how, when and why birds use gardens and the resources that they contain. BTO Garden BirdWatch data have been used in the production of Indicators and to examine patterns of garden use in relation to surrounding habitat (e.g. Chamberlain et al. 2004) or external resources (e.g. McKenzie et al. 2007). Specific projects have looked at House Sparrows in urban habitats (e.g. Chamberlain et al. 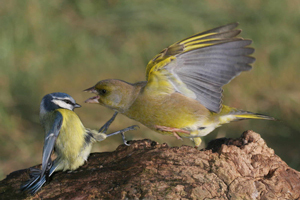 2007), the factors influencing arrival times at garden feeding stations (e.g. Ockendon et al. 2009) and how GBW data might be used to monitor mammal populations (e.g. Toms & Newson 2006).